Raw water is enters the crib about 2-miles out in the lake and is sent to one of two purification plants where the water is treated and impurities removed. 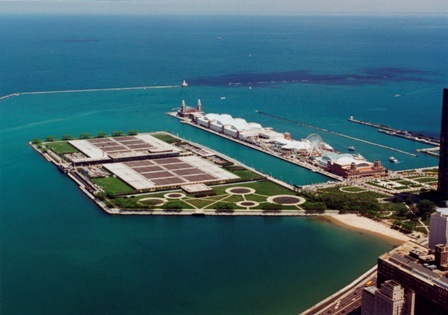 The water then flows by gravity to 12 pumping stations strategically located throughout Chicago. At the pumping stations the water is elevated to our grid mains and pressurized. This allows the water to be delivered to homes and business throughout Chicago.